Rare collector’s coins, graded coins, proof sets, silver dollars, and much, much more. Scott’s is the premier destination for anyone looking to buy and sell pre-owned jewelry in Southwest Michigan. Let’s put some cash in your pocket! If you’re looking to sell gold or jewelry, Scott’s is the most fair, current gold buyer in Southwest Michigan. The largest selection of new and pre-owned jewelry in Southwest Michigan. Find U.S., foreign, old, and new coins at Scott’s. Stay current with the most recent gold and silver prices. Over 500 auctions per week and 90,000 positive feedbacks. Welcome to Scott’s Sports Cards, Coins & Jewelry! We are the leading buyer of estate jewelry in Portage, as well as the area’s best choice for coins, sports cards, and memorabilia. At Scott’s Sports Cards, Coins & Jewelry, we’ve been buying and selling gold, silver, jewelry, coins, bullion, and sports cards for over forty years. As Southwest Michigan’s leading source for high-quality, affordable estate jewelry, we maintain a sizable collection of engagement rings, designer pieces, and Citizen watches. In addition to this, we regularly buy pre-owned jewelry, bullion, gold, and silver coins. If you’ve been looking for a reputable, fair shop to buy and sell gold, silver, and other precious metals, you’ve come to the right place! We encourage you to visit our store, talk with our knowledgeable staff, and browse our unparalleled inventory of jewelry, coins, sports cards, and more. Updated on 4/20/19 9:00 a.m.
We pay premiums for better dates. 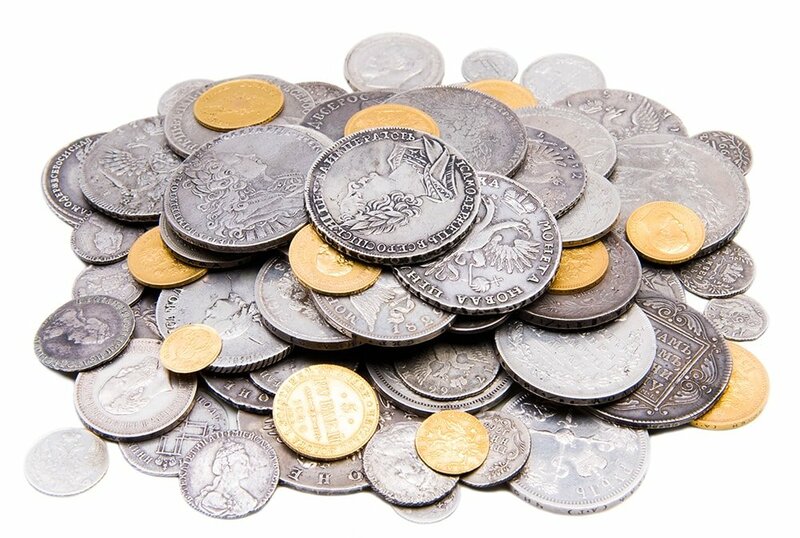 Damaged or heavily worn coins will bring slightly less. Scott’s Sports Cards, Coins & Jewelry posts roughly 500 new listings every week, from rare U.S. and foreign coins to bullion and commemorative coins. With over 90,000 positive feedbacks, we encourage you to take a look at what we’ve listed this week!